Decided to have a mobile app for your business? It may be a good idea to invest some time on your idea so that you are ready with a good mobile app that will serve to fulfill your goal. 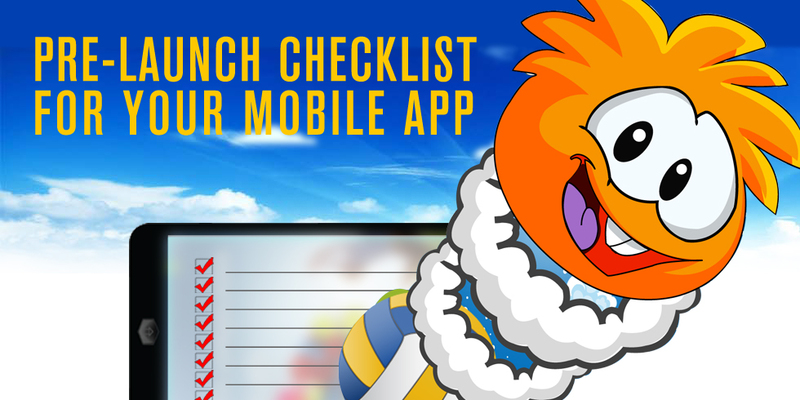 Your pre launch checklist is essential so that you can work towards creating an app while facing minimal glitches. Here are some points that you may need to consider en-route to launching your app. The very idea “creating a mobile app” should be followed by the instance of market research. Your goal should be to create an app that would fill in some gaps while furthering your business goals. In case, you have an idea about what your app will be about then you will need to work on the idea by consulting the market. You should also research about the audience, your potential users/customers, so that you know what you need to deliver to them. Do a rain check on your competitors, understand what they are doing, what kind of keywords and audience they are targeting. Compare your app, after design, with that of the competitors to get an understanding on how well it will establish itself with the audience. Market research should be done before and after the app design so that you get the perfect idea on its performance. This is a crucial stage for an app. You will need a checklist within a checklist for this purpose. You will first need to consider the look and feel of the app. Pay attention to the interface that you will be designing for this app. Resolution and quality of the images to be used in the mobile app will affect the design, and eventually the launch success of your app. This is another area that will need some thought and work from your side. You should ideally enter a workable and appealing description of your mobile app. This will help you generate the buzz around the app. You will need to enter the right keywords and create content that will attract the user. Remember it is the description that will lead to installation. You will need to plan and design a seamless integration of third party apps into your app. If you want social networking apps to be a part of your app, then you should consider working out seamless integration. Your marketing plan should be in process along with the mobile app design and development. Don’t start working on your marketing plan too late in the day. Ask your marketing team to get involved with planning and strategizing the marketing for your app. You will need a basic marketing plan checklist to get started with your app launch. You will need to optimize your app to meet the market needs. Find out the USP of your app. Follow it up with an app name that will attract the audiences. You will need to optimize the app with a proper description meant to appeal the audience, and win them over. You will need to list out the keywords that will be needed to win your audience. Once you are through with the list, try finding out what your competitors are using in keywords, and that will help you further. Finally, use these keywords by placing them properly in the app description. How are you planning to reach your users? You will need to list out the places where you can reach your users. The places to promote also need to be listed when planning. Create a teaser for your app, before it is released. Also blog about the development process, and engage your customers through the whole process. You should have a launch date in mind in advance. You may want to release the app as soon as the development process is over, but you may need to stall the launch till you are sure you are prepared. For this purpose, you need to plan the launch date. You will need to plan your marketing strategies around the launch date, so that you have readied the users for the appearance of your app on the store. After having spent a lot of time, money and effort into creating an app, you should realize that you need real feedback from real users. Try beta testing your app, before making it live. You need to identify channels that will help you reach to these users, and then seek feedback from them. The channels and the users feedback will help you improvise the app, and make it launch ready. You need to identify the ultimate goal of your app to finalize the number of beta testers Before launching an app, you should ideally do a good rain check so that you can assure a certain launch success. But, do you think pre-launch is the only place where you need to work? No way! Launch is equally important. Stay tuned with us for our next blog on the points you will need to consider during launch.